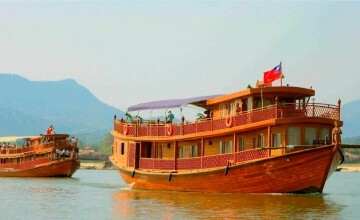 Alliance Myanmar River Cruise is one of the best cruises ever which offers one of the safest and enjoyable nice vacations for Bagan travel with amazing experiences. 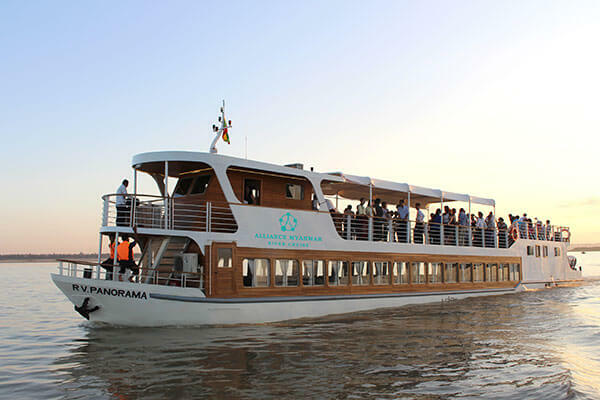 With the hope to bring exceptional level of comfort to tourists, Alliance Myanmar ship is the first true day cruise ship in Myanmar on the Ayeyarwaddy. In addition, there are some useful personalized services to meet the expectations of visitors. 5.30 am: Embark from Bagan. 5.45 am: A brief on safety. 10.30 am: Demonstration on Longyi and Thanatkha. 12.00 pm: Have a lunch. 3.00 pm: Demonstration on Myanmar Salad. 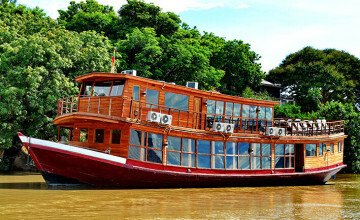 5.30 pm: Arrival to Mandalay. Electronic devices at the main deck. A wide selection of alcoholic drinks and signature cocktails are available at the Bar. Fresh blends and varieties of coffee and tea all day along with the menus options. 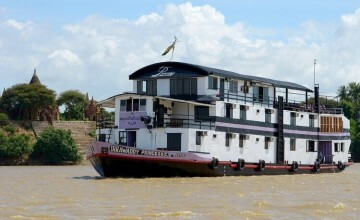 Thank you for your interest in Alliance Myanmar River Cruise. Please fill in your details below and we will contact you by phone or email within 24 hours.